Emmanuelle is currently on the National Tour of Finding Neverland as Mrs. DuMaurier!! 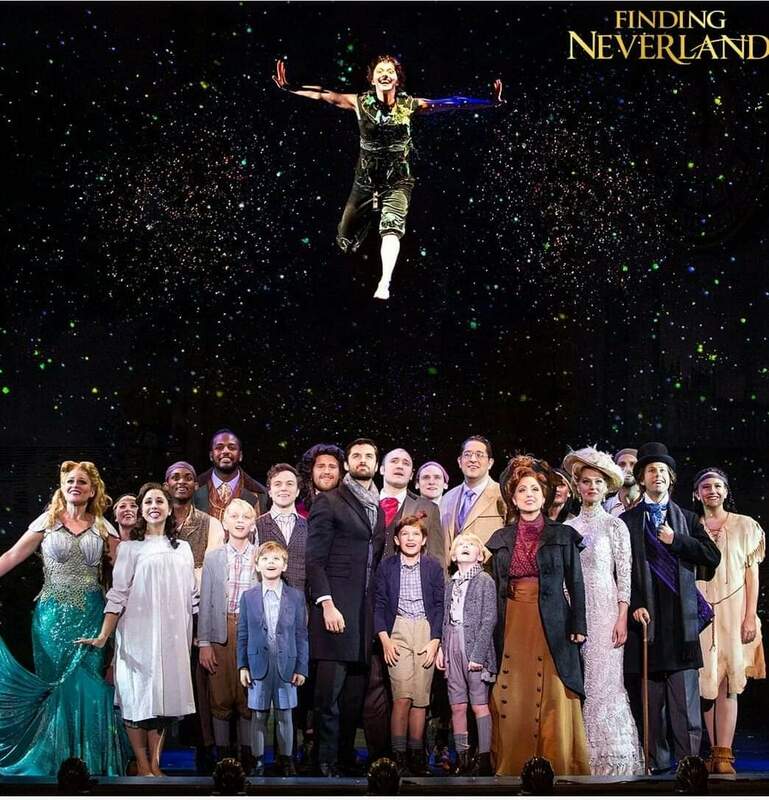 "Finding Neverland is the Broadway musical that tells the fascinating story of how Peter became Pan. Based on the Academy Award®- winning film of the same name, it has been brought to extraordinary life by the team behind Shakespeare in Love, Chicago and Pippin." It will play in 108 cities over ten months. Emmanuelle is thrilled to be in such a stunning & moving production. ​Don't Miss Emmanuelle as Gay Doherty in Season 2 on Pandora's Box airing in February 2018 on Discovery ID. ​Emmanuelle Zeesman landed the lead role of Diana Dean in The Unit! ​Emmanuelle is delighted to be the new spokeswoman for Princess Cruises!! ​ This includes a large series of commercials and voice overs! 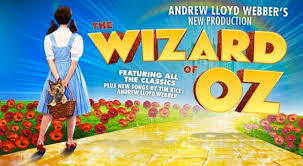 Andrew Lloyd Webber's THE WIZARD OF OZ!!! ﻿GOING UP (The Elevator Musical) IS THE WINNER OF THE 2015 NEW YORK NEW YORKS FESTIVAL!!!! Going Up (The Elevator Musical) takes a humorous look at one of life’s everyday events. We all ride elevators. Some of us multiple times a day. And every time we get inside, trapped in the corner, or squished next to the overweight, sweaty guy, having to listen to the Muzak drone on and on, a thought flashes through our minds, “Is this the time I’m going to get stuck?” We scan the elevator to see what kind of weirdos we’ll be stuck with. We dream how we might escape through the trapdoor in the ceiling. We wonder if we have anything to eat because we missed breakfast. We pray to God that we won’t have to pee. Or worse. And what about the overly pregnant woman by the buttons? 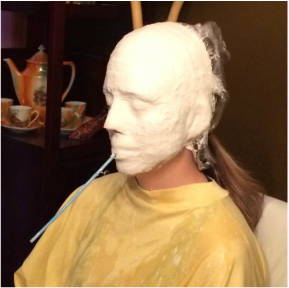 Is she going to blow? Going Up plays on these collective thoughts and fears as we are introduced to five New Yorkers with big personalities who live out our nightmares by getting stuck in an elevator. Platypus Theatre and I are creating a brand new show which will be touring starting February 6th! I play the role of Max. I can't wait! My character is quirky, energetic, honest, vulnerable and relatable. A dream to play! 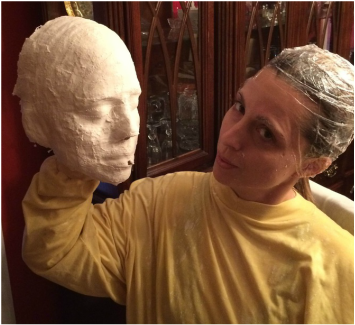 And yes....this is a full plaster mask of my head which will be filled to make a life size mould of my noggin! This Show is FANTASTIC!!! I am so very proud of it! Concept by Cooper Jordan, Book by Erika Jenko, Lyrics and Music by Joe Sherman. Full cast TBA...but I will be playing RITA! With a splatter zone and amazingly hilarious songs such as "It's a Disgusting Job, But Someone's Gotta Do It", "I Could Be Your Bad Idea" and "It's Showtime at Showtime" the workshops already have audience crying with laughter. This show previewed at the New York Fringe Festival and was a smash hit!!! It will be ready to open off-broadway in the Spring! The Little Mermaid is the true adaptation of the original story by Hans Christian Andersen, unlike the Disney version, which has a different ending. "We tell the story in its original form" says Artistic Director Brenda Bell, "We believe that the true ending shows children that every wish has a price and that love comes with many sacrifices." "The Little Mermaid" includes over 16 musical numbers. 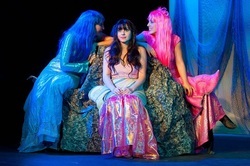 Everyone enjoys the antics of the outrageous mermaid sisters, Pearl (Nina Kompanek), Coral (Mariana Weisler) and Shelly (Emmanuelle Zeesman) - pictured above-, a lovable trio featured in numbers like "Deep Sea Blues" and "Longing to See Anything but Sea". No telling of "The Little Mermaid" would be complete without the evil Fish-witch; the "Diva of the Deep". In this version, the character is portrayed by Eric Fletcher, who belts out the showstopper "Misunderstood". Choreographed by Emmanuelle Zeesman, "Misunderstood" features a Lady Gaga-like number that leaves the audience ready to dance in the aisle. Andy DeRado plays the loving father, King Neptune. Parents will easily identify with the trials he endures while raising his mermaid princesses. Prior to each performance, families' may participate in an arts workshop. Here the audience discovers how different art forms bring literature to life. They learn some of the movement and music from the show and create a sea creature that glows in the dark. Coupled with the show, this two-hour experience adds up to an afternoon treasure for the entire family. "The Little Mermaid" runs through April 27th on Saturdays (11a & 3p) and Sundays (11a), with special holiday matinees on February 20th and April 17th. The pre-show workshop begins one hour prior to each performance at the Players Theatre located at 115 MacDougal Street. Tickets are $25 -$45. For more information visit:www.literallyalive.com. 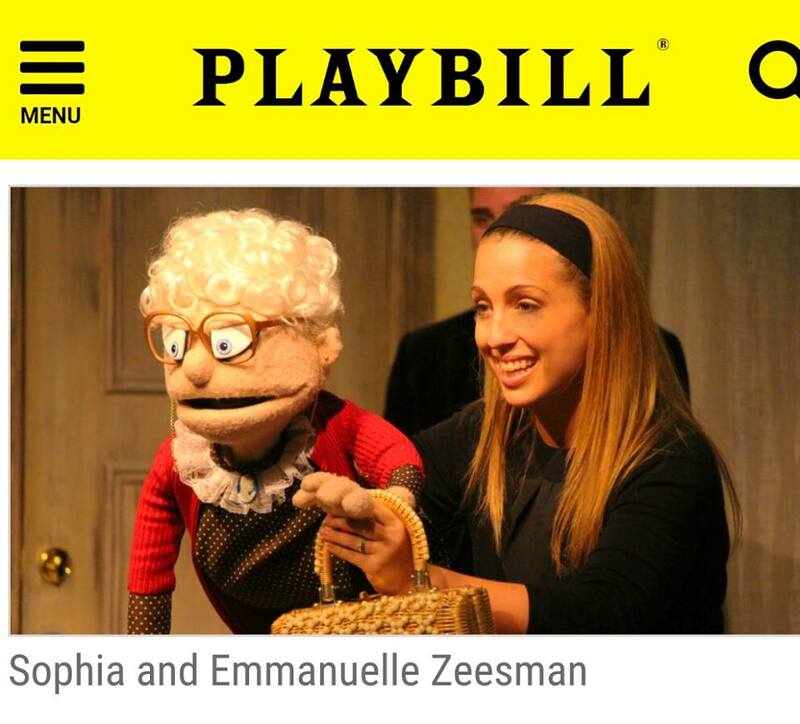 Come out and see Emmanuelle's next off-broadway production with The Actor's Project NYC opening in February! What do you get when you cram two washed-up Broadway producers, a high-strung husband and wife songwriting duo from Wisconsin, their daredevil child, a singing chambermaid, the world’s oldest tap-dancing bellhop, and a fiendishly clever skunk into Cole Porter’s apartment? It’s the World Premiere of Bemused—a knee-slapping, toe-tapping, laugh riot show-biz comedy… with music! Thank you to all those who came out to see A Christmas Carol! 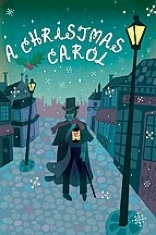 "Audiences may experience this exquisite off-broadway theatrical experience, from December 1st until the 30th 2014, and see how Grumpy old miser Ebenezer Scrooge finds a second chance to become a loving, generous, kind human being through the aid of four ghosts who visit him on Christmas Eve"
"The entire cast performed these timely characters with energy, enthusiasm and a touch of irony." "What a lovely production!" and "Bah, Humbug” to those who disagree!